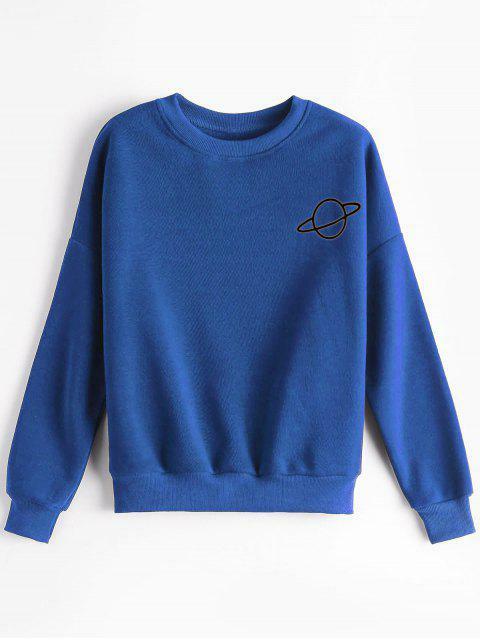 [59% OFF] 2019 Planet Graphic Drop Shoulder Sweatshirt In BLUE | ZAFUL .. 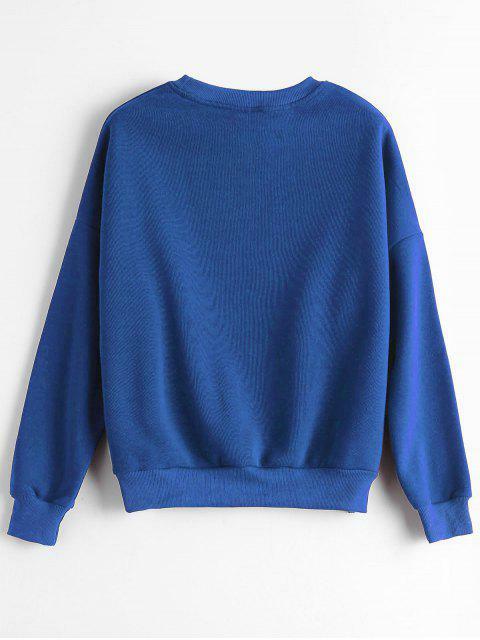 It is very cute, nice material, I think 65% cotton and the rest some synthetic materials but it feels nice, it has fleece inside so it's pretty warm. Surprisingly it is a bit see through if you wear something colorful underneath even though the sweatshirt is not too thin, anyway it's not a problem for me. So overall I'm pretty satisfied with this order. I'm 163 cm tall and it fits just right, sleeves are the right length - they could be a bit short for someone taller. 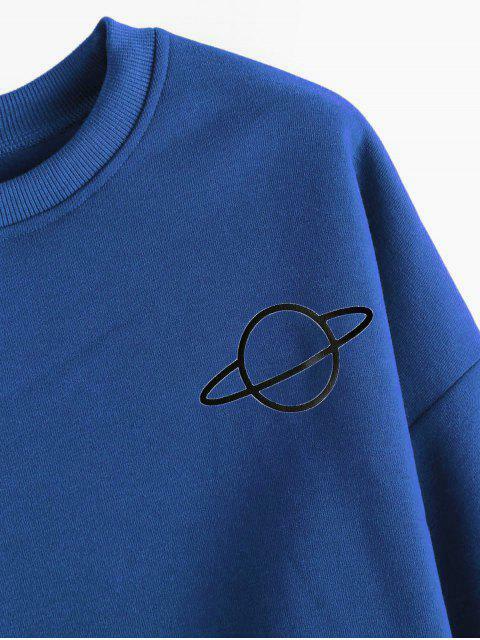 This casual pullover hoodie features a classic ribbed crew collarline, common drop shoulder design, and a cute planet graphic pattern at the chest. The elastic ribbed cuffs and waistband give an easy fit. Wear it with skinnies and sneakers for a stylish look.